Beijing – the capital city of China is the second largest city in population and considered the center of politics, culture, and education in China. Located in the south of China, Beijing is one of six ancient cities in China with a long history and unique culture that Beijing shore excursions can be extremely exciting. 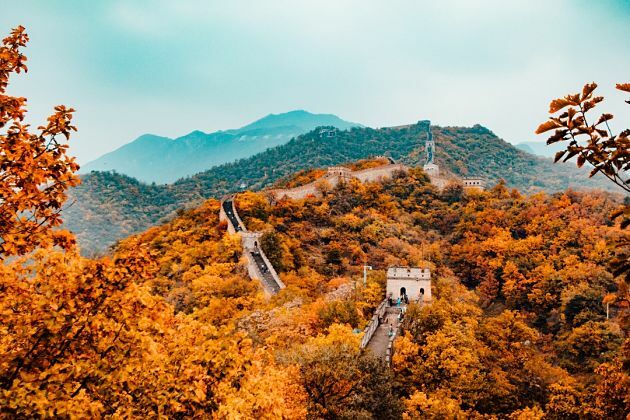 Autumn is the best time for you to enjoy Beijing tours from Tianjin port or shore excursions, while the weather is temperate and cities are not too crowded. Spring is not very convenient for Beijing day tours from Tianjin port with much dust in the air. Summer starts from June to August, and this time is the peak tourist season in Beijing. The hotel rates are high and all the streets are filled with tourists. 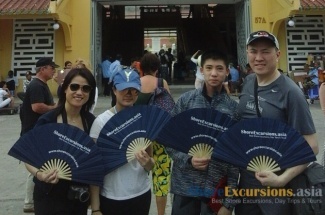 Asia Shore Excursions is offering the best Beijing shore excursions for cruise ship passengers at Tianjin port. You can browse our sample Beijing tours from Tianjin port for some inspirations or contact us to tailor-make a unique Beijing shore excursion that exclusive for you. My husband and I are going on a cruise on Holland America to China, South Korea, and Japan next month. The cruise is not able to provide where they will port in each city. However, if we book through you guys would you be able to pick us up from our port of call during the day of our excursion? 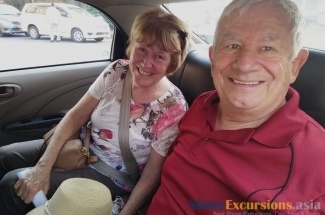 We surely provide pick up and drop off at port for every shore excursion. Please check your email for the detailed reply. Modernity and culture, Beijing has everything you need for a long-day colorful vacation. Beijing is modern. Beijing is home of a wide range of China’s largest state-owned companies, home of the largest number of Fortune Global 500 companies in the world, the world’s four biggest financial institutions, the major hub for the national highway, expressway, railway, high-speed rail networks, the second busiest airport in the world by passenger traffic. Bejing is cultural. There is nothing to say about this obvious fact! 5000 years of history, a wide range of historical monuments which are well preserved; tourists will need such a long time to possibly explore them all in their Beijing tours from Tianjin port. 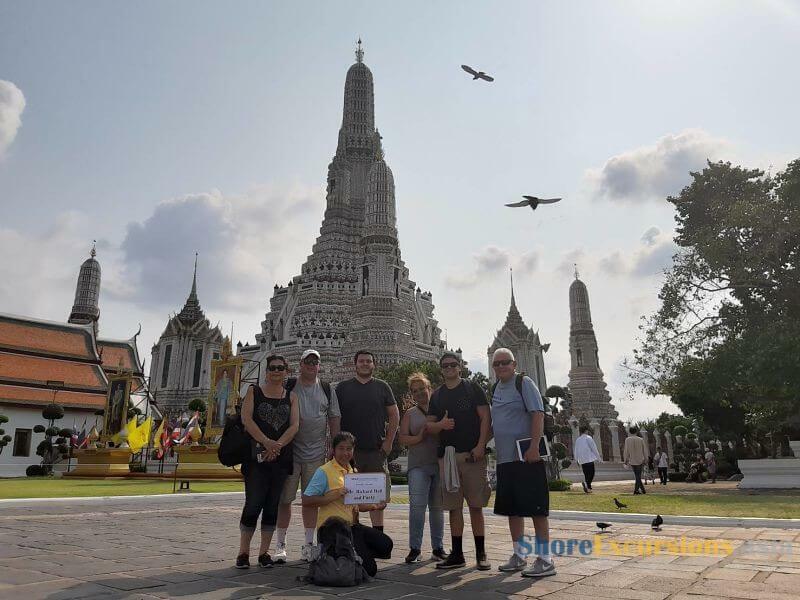 Those are the reasons why this capital city is one of the must-visit destinations during your Asian shore excursions or simply your China shore excursions in particular. 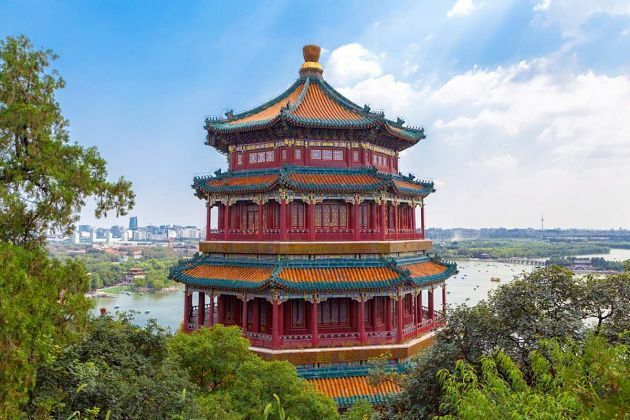 So, when tourists have to decide where they should visit first in a short time, what they should do when coming to this diverse city; a list of top things to do and see in Beijing tours from Tianjin port is mentioned below to help tourists to choose. Great Wall is definitely the symbol of China that is famous worldwide for its unique and special. 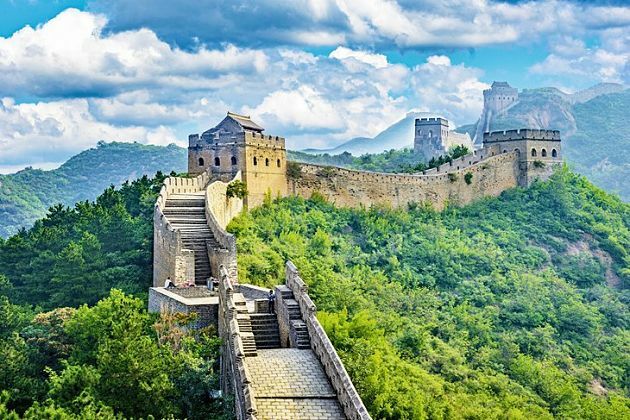 Being built by different dynasties, this Great Wall is 21,196 km long by one survey which makes it become one of the most impressive architectural feats in history. It will take a very very long time for tourists to walk through all. 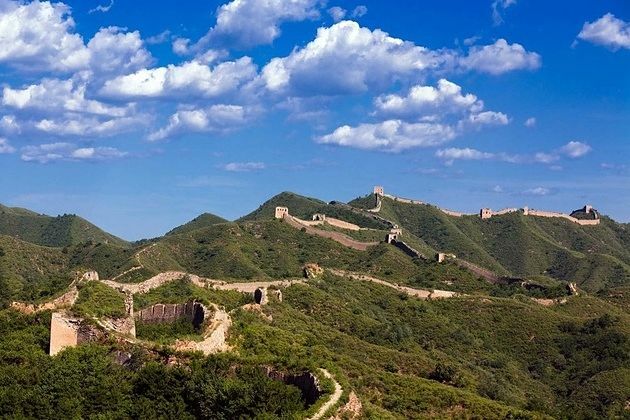 It is such a good news for tourists who go in Beijing tours from Tianjin port that this city is the best destination to witness the majesty of this outstanding Great Wall of China. 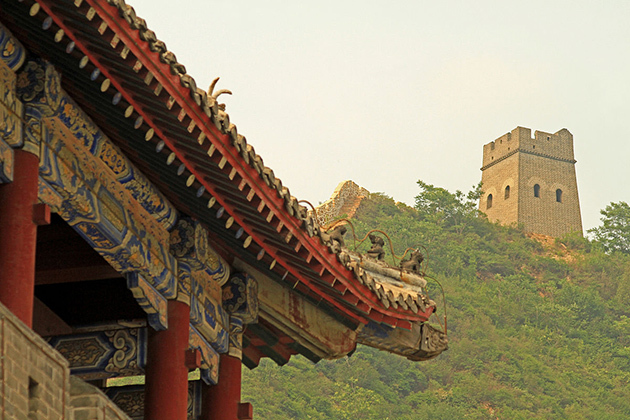 Badaling and Mutianyu are the two most well-preserved Beijing which is highly recommended for your safety. You can have an authentic feel while you are walking on the way the other people walked in the past, you touch on every single historical stone which the ancient people took one by one to build this giant architecture. The most amazing feelings is when you stand on the highest spot you can reach, look back a long way you have walked through to be proud of yourself, look down to admire the overview of this religious city and its nature, or just stand still to feel the wind blow through your skin and tell you the story of its life. Nothing can be more convince until you experience it yourself – the feeling will make you speechless. That is the reason most the tourists choose this destination as the very first place in their Beijing shore excursions. Some of them even immediately go here right after the cruise ships stop at Tianjin port. One more destination that you do not want to miss when coming to this 5000-years-of-history country is the Ming Tombs- the most well-preserved imperial cemetery region where the 13 emperors of the Ming Dynasty were buried. From ancient time, the Chinese people always respect their ancestors, their emperors which can be seen in the way they build the tombs. Being built in a carefully selected site – according to the Chinese feng-shui (geomancy) traditions, the 13 Ming Tombs not only have an ideal surroundings – mountains on three sides and a nearby river, but also the imperial Ming Dynasty life which including stone thrones, huge human and animal sculptures and other evidence of Chinese culture and traditions which makes this tomb area be listed by UNESCO as World Cultural Heritage. So the Beijing shore excursions will certainly help you to broaden your knowledge about the imperial tombs in China. You can immerse yourself in a green environment or hiking or exploring nature and be a part of royal life by visiting underground palaces, excavations – all the representing historic emperors of an ancient Dynasty, no reasons to miss these destinations! Tourists should also know that only 3 of the 13 tombs are open to the public with totally 3 different types of decorations to diverse your Beijing tours from Tianjin port. Besides some significant destinations as Great Wall and Ming Tombs as listed above, a wide range of well- preserved historical monuments will absolutely impress foreigners. Forbidden City, Tiananmen Square, Summer Palace are some highly-recommended destinations to tourists. Why? 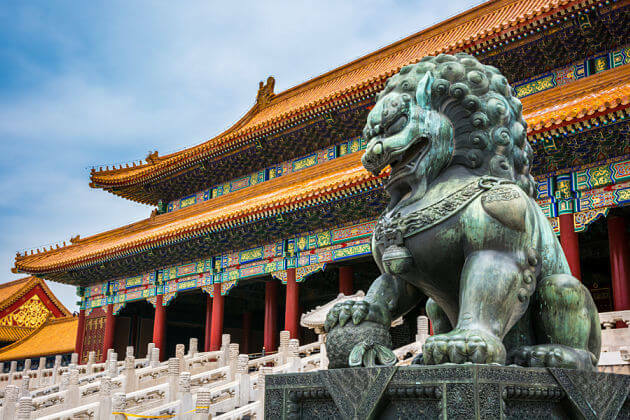 Firstly, the Forbidden city which now houses the Palace Museum has everything you need to know about the home of emperors and the ceremonial and political center. 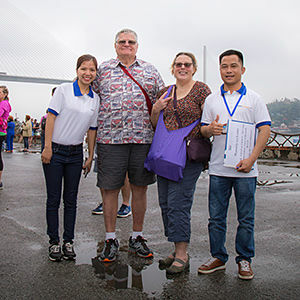 Tourists will also have a chance to witness the traditional Chinese palatial architecture along with the influenced cultural and architectural developments in East Asia and elsewhere. 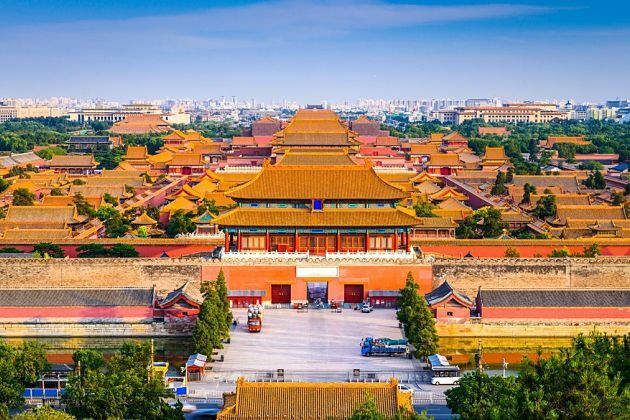 No wonder why the Forbidden City is recognized by UNESCO as the World Heritage Site as the largest collection of preserved ancient wooden structures in the world. Secondly, having the meaning as “Gate of Heavenly Peace”, the Tiananmen Square contains the Monument to the People’s Heroes, the Great Hall of the People, the National Museum of China, and the Mausoleum of Mao Zedong – various attractions in one place. Moreover, being within the top ten largest city squares in the world, Tiananmen Square also has great cultural significance because it used to be the site of several important events in Chinese history. Lastly, tourists can definitely enjoy a life of royals members when relaxing in this palace thanks to a vast ensemble of lakes, gardens, and palaces. The UNESCO has declared this palace as “a masterpiece of Chinese landscape garden design” combined with artificial features such as pavilions, halls, temples and so on as an example for tourists to have the first glance about this outstanding palace. 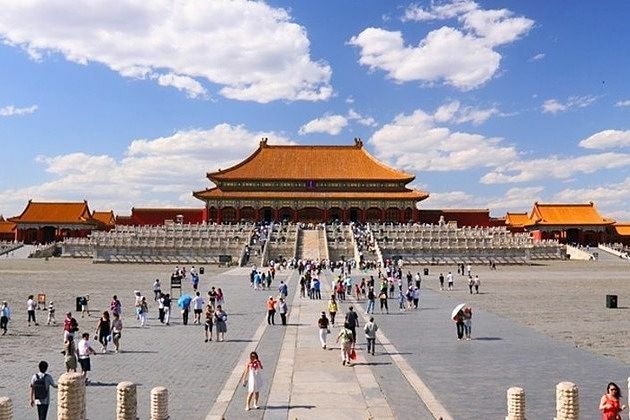 Depending on each tourists’ interest, they can tailor-make their own Beijing shore excursions or Beijing tours from Tianjin port to make sure that no interesting attractions are forgotten. After exploring all the destinations, tourists are suggested to have a walk on a street to fulfill their Beijing tours from Tianjin port. Right at the first step tourists put on the ground, they can immediately smell the delicious taste of the Beijing roast duck which creates the brand for this city. This is the most popular dish and should be the first one you should try right away. 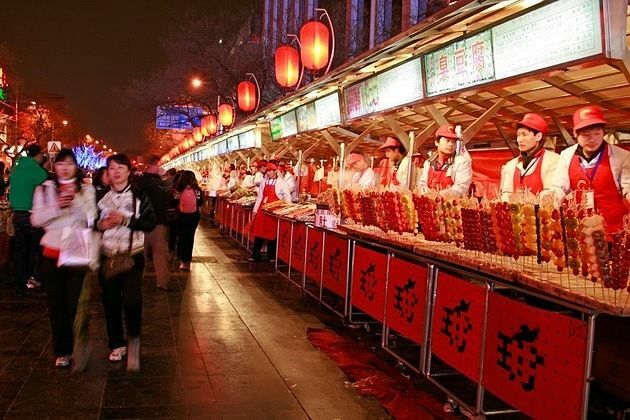 Food lovers will find their decision of Beijing shore excursions is nothing but an absolute right one. Being the capital of China for centuries, Beijing is a heaven of various cuisine which is influenced by culinary traditions from all over China. Besides the most famous one – the Pecking duck, Chinese Dumplings, shredded pork or noodles with soybean paste will please your stomach! Or simply witness the diversity of building from modern to traditional one, see how the local people here communicate to each other, what they eat, what they wear – lose yourself a totally different culture. Witnessing various historical monuments to please your eyes, enjoying delicious cuisine to please your tongues, so you why don’t you make your Beijing tours from Tianjin port more colorful by trying a brand new experience to please your ears and your eyes also – Beijing opera! 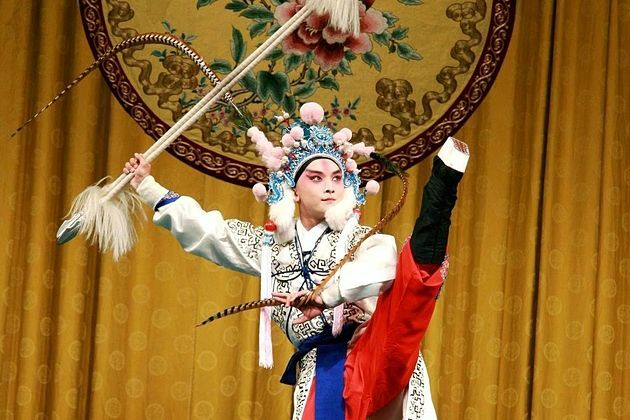 Being regarded as one of the cultural treasures of China, Peking or Beijing opera combines music, vocal performance, mime, dance, and acrobatics. You will be impressed by their elaborate and colorful costumes as well as their skills of speech, song, dance, and combat in movements. If the monuments help you to know about the architecture and imagine how the ancient people lived and did normal activities in those destinations, this unique Beijing opera will directly tell you their stories! Beijing is the capital of China and also a metropolis in northern with a major transportation hub, dozens of railways, and roads or motorways passing through the city. Beijing is also the ideal destination of many international flights arriving in China. It is not only regarded as the political, educational, and cultural center of China, but it is also a tourism destination, which attracts a thousand visitors each year. With the 3,000 year history, Beijing plays an integral role in China’s history, offering China’s most fancy array of attractions. Come together with Beijing shore excursions, we have an awesome chance to widen our mind and experience the 850-year capital with a lot of highlights. The temperature seasons from March to May and from September to October are the best times to hop on Beijing tours from Tianjin port as the best climate and a colorful scenery. Beijing is a continental monsoon climate, with four distinct seasons and it has a big difference in temperature between day and night. 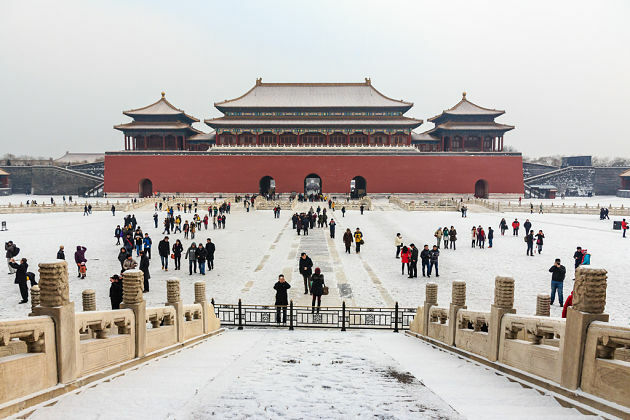 While summer brings sweltering heat, winter in Beijing is so cold temps and sometimes snow, thus visitors of Beijing tours from Tianjin port should be mindful of the weather. The status of millions of domestic tourists floods Beijing’s historic and sacred places, which pushes room rates or other expenses through the roof. 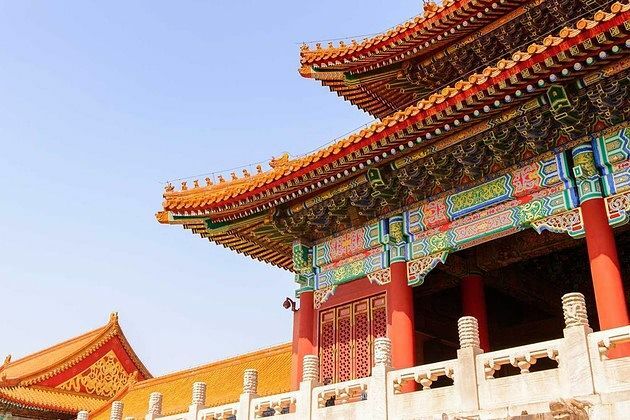 We understand your concerns, therefore Asia Shore Excursions list the highlights of seasons of the year to support the awesome Beijing tours from Tianjin port. Spring through April and May are also the best time to visit Beijing, as this is when many kinds of flowers start to bloom and the weather in Beijing is so moderate. Temperatures in China’s capital fluctuate (from 0-25°C/32-77°F) so pack plenty of thin layers and some warm socks. In this period, there appear fewer tourists, so you can indulge in the wonderful cultural sites in relative peace. If you are on a budget, no other months are more suitable than spring months because all the hotel prices also tend to drop in comparison with the busy summer months. From June to August, the Beijing weather is so tough, temperatures can reach a sweltering 40°C (104°F), with many risks of heavy rainfall and high humidity rate included. 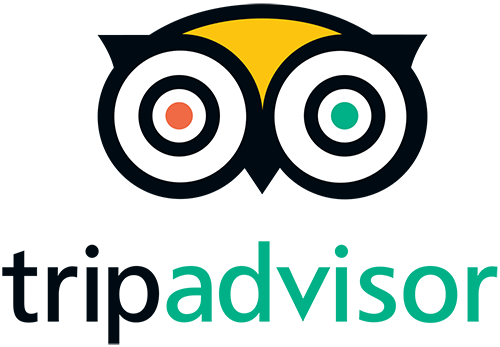 It just a recommendation for tourists from Beijing shore excursions, this doesn’t mean to deter overseas tourists, who flock to Beijing at this time. 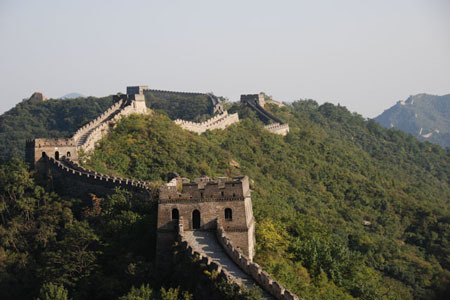 Add more information, the Great Wall of China looks so breathtaking on the sunny days. 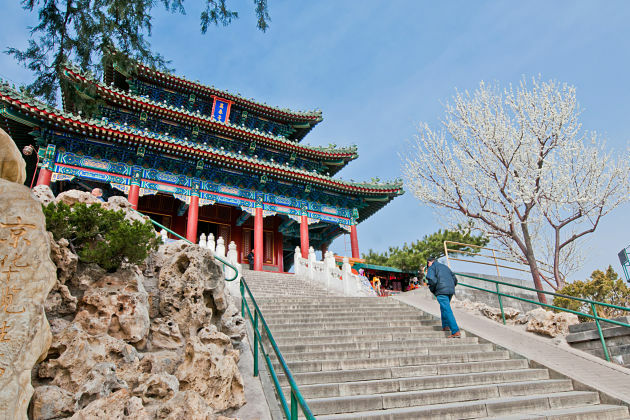 There are some recreational activities for visitors like enjoying the leisurely boat ride on Kunming Lake at the Summer Palace or escape the heart by visiting the traditional narrow streets and neighborhoods – Beijing’s Hutongs. If you enjoy Beijing tours from Tianjin port in summer, the weather is quite severe, thus your luggage cannot miss sun cream and an umbrella or some drugs for the variable weather in Beijing. In Autumn, September and October are suggested as the best months to visit Beijing, as average temperatures drop to a comfortable level, 15-25°C (59-77°F), and days are often sunny. In autumn months, rain is kept to a minimum, while there is no guarantee it will be dry so bring a raincoat. The capital of China looks like flowers and trees transform into their autumnal colors, yellow is major. 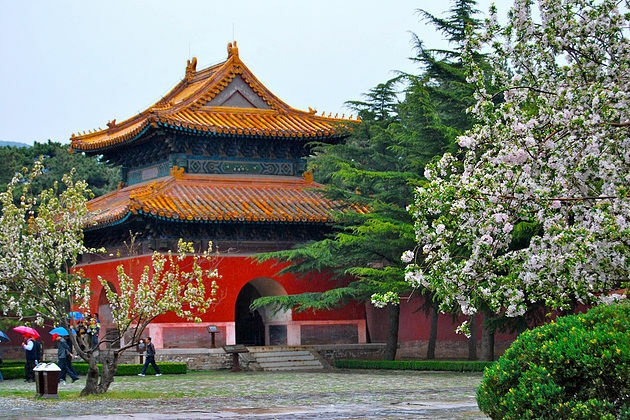 In your Beijing shore excursions from Tianjin port, Beihai Park and Beijing Botanical Garden are on must-see lists. Especially, September is the only month when China’s capital displays their most prized ancient paintings. A notice for tourists: October 1st marks the start of a week-long national holiday celebrating the founding of the People’s Republic of China in 1949. In this time, many Beijing locals will leave the city to visit their friends and relatives. In turns, travelers from the rest of China flood head to Beijing and the major cultural attractions become overwhelmingly busy. If you tend to choose this time, your itinerary should avoid as possible as you can. In winter, the Beijing weather turns into colder and colder, the temperatures can drop to -9°C (16°F) and sometimes it’s snowy. It is necessary to pack warm clothing and some specialized things to keep warm. In spite of this, winter can make your trip be more wonderful when traveling to the city as there have many international tourists. Right then, if you are in Beijing tours from Tianjin port during Chinese New Year, falls on February 16th in 2018, you can participate in the myriad of festivities the city offers, from a firework to the Spring Festival Gala.